Amazon launches Kindle Fire Tablet and Kindle Touch ereader | Android Blast! Amazon has finally taken the wraps off their new Android tablet. The new Kindle Fire will sell for the very low price of $199. The Kindle Fire has 7-inch display making it smaller than the iPad. The Kindle Fire will have access to all of Amazon's cloud services including AmazonMP3, Amazon Prime, Amazon Kindle, Amazon Instant Video and the Amazon AppStore. The Kindle Fire is available for pre-order today and will ship in November. Amazon also launched new ereaders today. The Kindle Touch and Touch 3G will sell for $99 and $149 respectively. 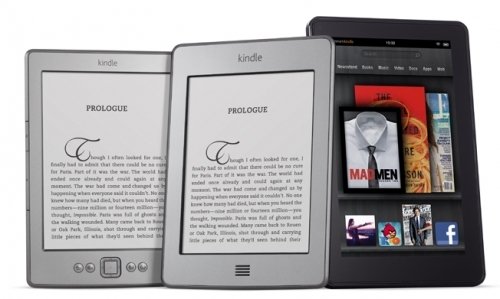 Amazon says they are the best ereaders they've built to date. Along with their new tablet and ereaders, Amazon launched a new web browser called Amazon Silk. You can watch the video below to get an idea of what Amazon is doing with their new browser. It sounds very interesting.